TGSI’s have been installed on a kerb ramp at the Centrelink site in Canberra with a gradient less than 1 in 14. Set 300mm back from the closet point to the hazard; i.e. drainage gutter, the 600 deep TGSI pad is positioned at an angled approach to the roadway. This is because the kerb ramps are not perpendicular with one another. As such, the TGSI pads have been positioned to reflect a directly parallel and opposite, mirror image of each other. The TGSI pads must convey a clear and decisive message for a consistent direction of travel across a busy private roadway. If the kerb ramps had been constructed perpendicular to the roadway the TGSI pads would have not been installed on an angle. 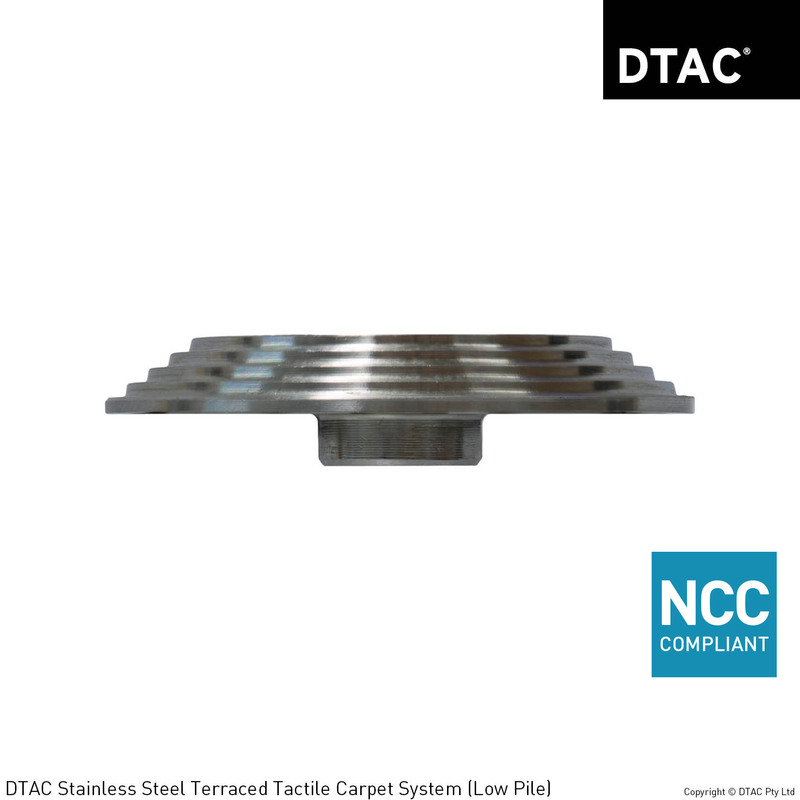 DTAC Terraced Carpet System tactiles combine a high quality finish with high slip resistance properties. Manufactured in 316 marine grade stainless steel, the tactiles feature a concentric circle design on the horizontal face with a terraced outer edge and affix through the carpet to the supplied carpet plate. 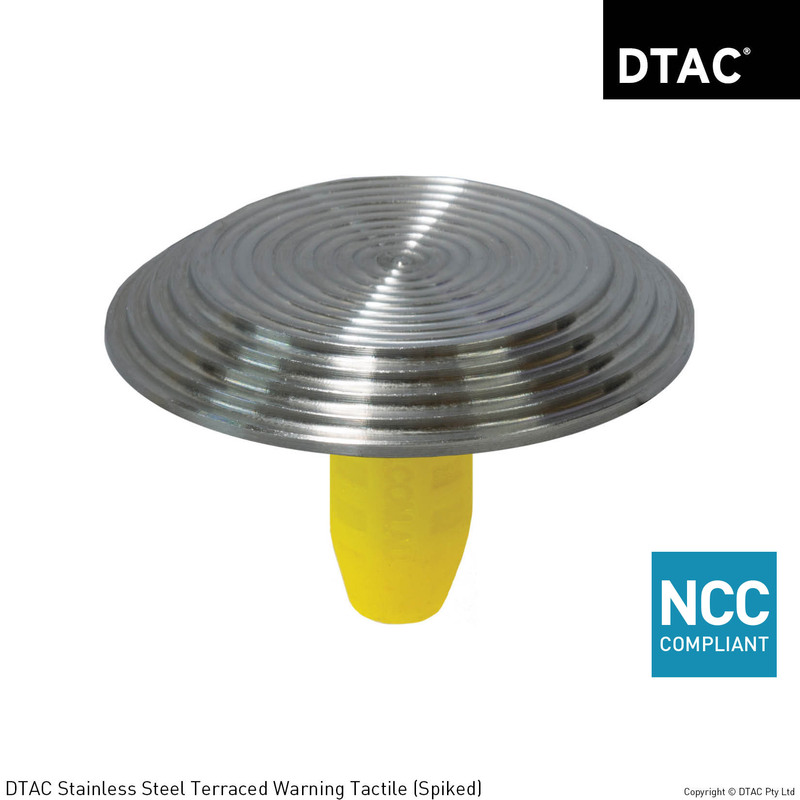 DTAC Terraced Warning Tactiles combine a high quality finish with high slip resistance properties. Manufactured in 316 marine grade stainless steel, featuring a concentric circle design on the horizontal face and a terraced outer edge. 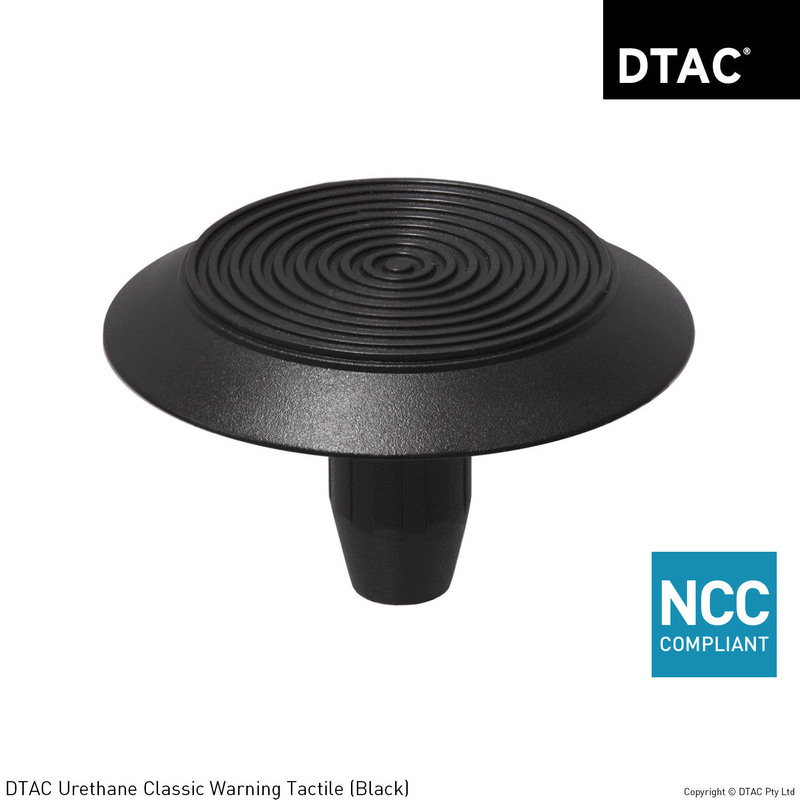 DTAC Classic Urethane Warning tactiles combine a high quality finish and the flexibility of colour choice with durable high grade urethanes ensuring high slip resistance properties. Moulded in high impact UV stabilised urethane, featuring a concentric circle design on the horizontal face and a smooth outer edge.